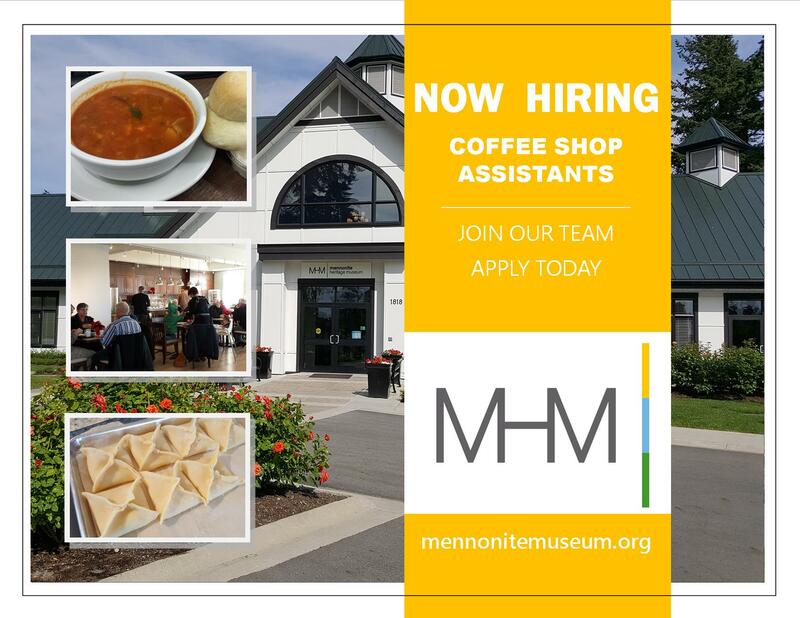 To Apply: Email your cover letter, resume and relevant certificates to jennifer.martens@mennonitemuseum.org; in the Subject line write your First & Last Name: Job Posting: Coffee Shop Assistant. 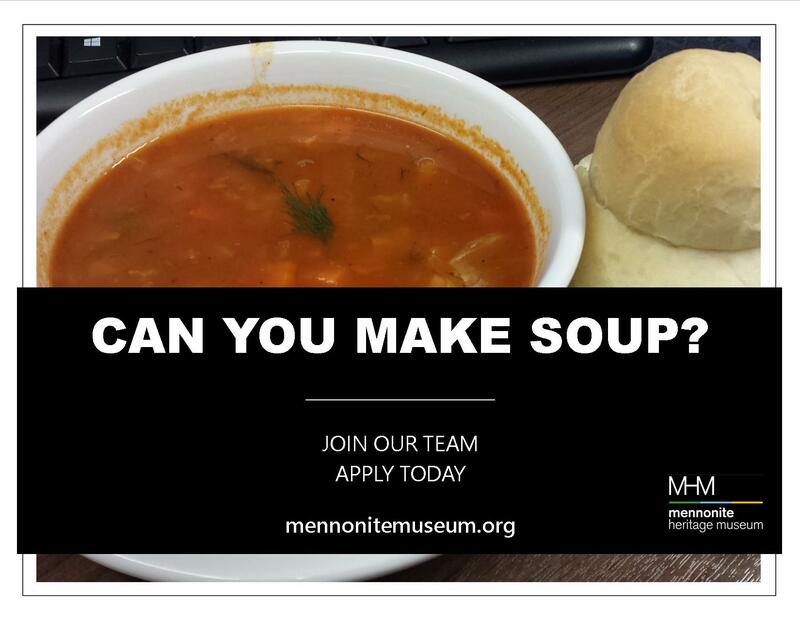 The successful applicant(s) will be providing food service including preparation of the ingredients, making soup and other food items. Duties will include serving customers along with processing sales using the cash register and provide complete clean up. Salary range per hour $14.00 to $19.25 plus benefits. The Coffee Shop Assistant reports to the Coffee Shop Manager or Acting Supervisor. Minimum 1 year of food prep and some food service experience in the food industry, such as a restaurant or caterer, required. including Receptionist, Gallery Attendant and Office activities, for Summer 2019.